Everyone is eagerly waiting for the rumored September 9th launch of the new revamped iPhone 6. As the date creeps closer, the World Wide Web is flooded with rumours and leaks. The most recent buzz was that the screen of Apple’s new monster was creating problems for the company, and this might delay the launch of the product. Well, Apple enthusiats can breathe easy, one of the most recent leaked images points to the same predicted date: Tuesday, September 9. The image is leaked by a French website called Nowhereelse.fr, which has a strong record of getting its hands on new Apple devices before its public unveiling. The image leaked is a shot of the front of the device’s quick start manual. 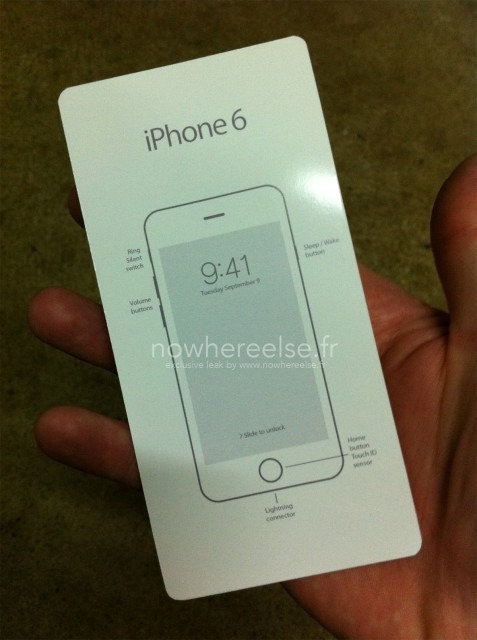 The device printed on the front has a set date of Tuesday, September 9. It doesn’t come as a surprise, since Apple likes to remain consistent to its history. It typically launches its smartphones in September, and last year, the iPhone 5S and iPhone 5C reared their heads on the second Tuesday of September (10th Sept. to be precise). If the image is to be believed, the image on the cover of the guide for the presumed iPhone 6 is different than the current model. The shape of the volume buttons have been changed, as have the Sleep/Wake button on the right. The Lightning connector appears to be centered below the home button, which still includes the Touch ID sensor, as marked on the manual. However, other leaksters have found reasons to believe that this may not be a legitimate product manual. In the past, Apple has used the original product images on the front of the manual. Also, it is said the font is not in line with Apple’s style. We will only know on September 9th if the image is authentic. The company is expected to launch two devices, the 4.7-inch and 5.5-inch smartphones. 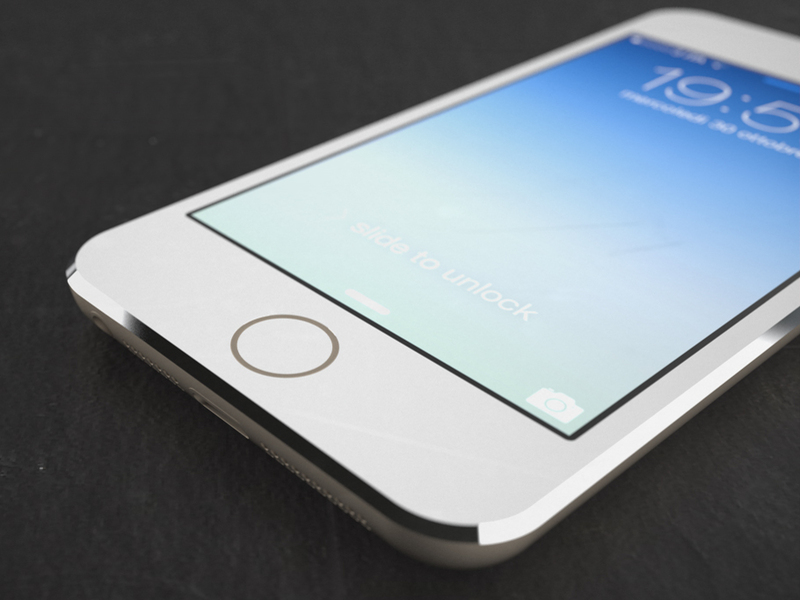 Rumors suggests that the name of the large device might be iPhone 6L. Apple is also rumored to include a reversible Lightning cable for the iPhone 6 that allows you to plug it into USB ports from either end. The existing Lightning connector can plug into an iPhone or iPad in any way, but the latest design will bring the flexibility to both ends of the cable. Specs means : Processor/RAM/Intenal Memory etc…where is that info.